I love the new CTMH Chelsea Gardens! I used one of the papers to create this pretty little 3x3 note card set with matching card box. 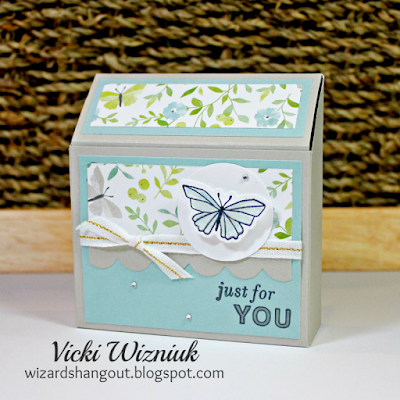 I also used the Chelsea Gardens Cardmaking Stamp and Thin Cuts set. I know I will be using this one over and over again.